Wear what you are most comfortable in. I tried to wear "normal clothes" and quickly realized I was much more comfortable in running shorts and a tee-shirt. When you are already… ahem… not quite yourself… it is once to be as comfy as possible! Comfy, supportive shoes… enough said. On the note of clothes… bring a complete change of clothes each day, including under garments. Considering sweat and all… trust me, you will be glad you did! I changed everyday. Take rest when you can even when you are not tired yet! Anytime we were in a line that stopped… I would sit. We like to get there before the park opens and stay late so this helped me conserve energy for the whole day. Usually BD and I would take some fun selfies while chillin :). Water and snacks… lots of water and snacks. There are actually lots of water fountains so we just brought a couple camelbacks and refilled them. We also brought a lunch box with an ice pack in it. Just FYI…our food strategy is always one meal and one snack in the park each day… and bring our own stuff for the rest. This let's you enjoy the experience without letting cost get out of hand. 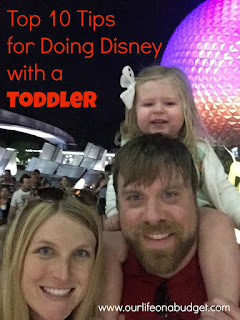 So for example we would eat breakfast at the hotel/on the way to the park with stuff we brought, buy a a couple Mickey ice cream bars, eat packed lunch, buy dinner and eat our snacks in between. Snacks/foods I recommend? Granola bars, nuts, pb and j, fruit, cheese sticks, goldfish, animal crackers and anything else that is semi healthy that will give you energy! If you are going for an extended period of time (for me this was more than three days) plan a rest day. You hear this again and again from blogs and books on Disney, but we thought we were super heroes. 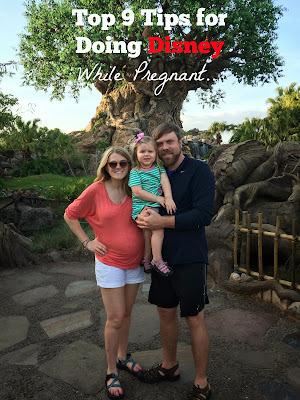 We had planned four days in a row at the park which went as follows… day one- Animal Kingdom… GREAT! day two- Disney Hollywood Studios… Great! day three- Magic Kingdom… great, though I was starting to feel pretty spent for the late night fireworks Day four- Epcot… I was SPENT, still had fun but would have had much more if I was rested Take it from me… if you can take a day or two to rest in the week… your body is already doing so much! Kali River Rapids*** DHS Tower of Terror Rock n' Rollar Coaster Epcot Mission Space Test Track Sum of All Thrills ***Soooo… I am not a doctor and I am not officially recommending that you ride Kilimanjaro Safari or Kali River Rapids. But I sought a lot of advise before we went and people said they were safe to do. These rides are tame and I rode them 27 weeks preggers. Not sure if someone was supposed to stop me, but seriously felt like I was under no more risk than normal. Come early and come with a plan. Yep, we are those people. You know the ones. Lined up outside the gate before the park even opens! But I am telling you friends it is so worth it. 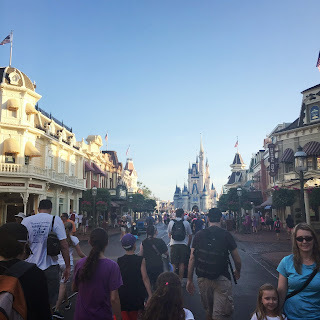 You can get through the major attractions while the lines are short, have your fast passes scheduled for some of those rides that you know you want to do but don't want to way the crazy 65 minutes later in the day (aka Peter Pan at Magic Kingdom). Then the hot, busy part of the day you can chill in some shows, grab some food, catch a parade and not worry about waiting in crazy lines. Seriously I don't think we EVER waited more than 20-30 minutes! We used the Unofficial Guide to Disney to loosely plan our day. Schedule your fast passes early! They do fill up and then you can only get them for times or attractions that you don't need them. We found that afternoon time was the most busy and we tried to schedule then if we could. Also, Disney has just started offering fast passes for the fireworks at MK, Fantasmic at DHS and the fireworks at Epcot. I have really mixed feelings about this because they have taken some of the best spots and said you can only sit there if you have reserved a fast pass… womp womp. Fantasmic is a zoo but probably my favorite evening show. You have to get there early no matter what, and trust me when you have been on your feet all day you DO NOT want to end up in the standing room only crowd! Is there anything that I missed? What advise would you give???? Great tips! I had no idea that Fantasmic now has a fast pass. It's been a year and a half since we were in Disneyland and we don't go to Fantasmic that time. How did you manage to sit down while in line? Did you sit on the floor or just sit wherever you found a spot? I have a bad back and am currently in physical therapy and we are going to Disneyland in a few months. I am hoping my back will have recovered by then, lol! I am gluten-free, soy-free and dairy-free (well, mostly dairy free, lol!) and so I will be bringing lots of snacks that I can eat in the park to tide me over until a meal! I am so glad that the parks now have some gluten-free options for people like me. Thanks for linking up to Making Your Home Sing Monday!